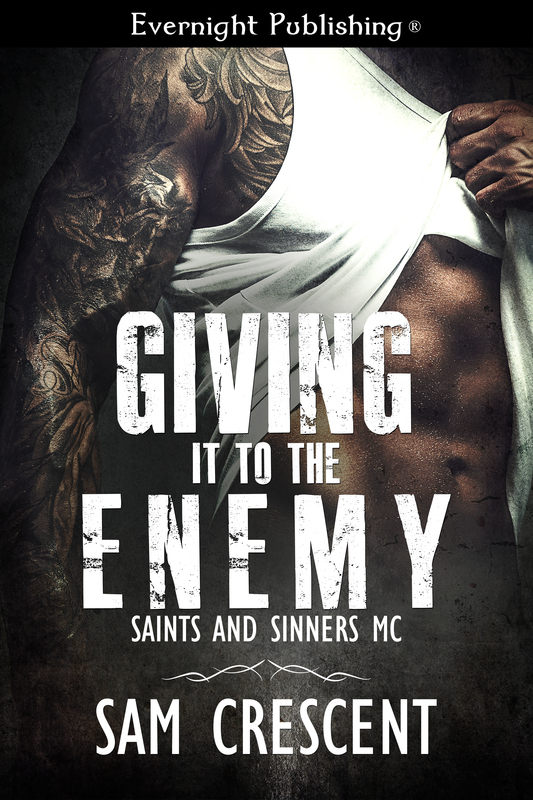 I’m really excited to share with you the cover art for, Giving it to the Enemy (Saints and Sinners MC). This is Pipe and Elena’s story, and I really had a lot of fun with this. Elena is the estranged sister of Saint, Prez of the Saints and Sinner’s MC. She was once part of the world until their mother tore her from everything she knew. Now, she doesn’t belong, not in the club, and not as Saint’s sister either. When she meets Pipe in a bar, everything changes. He awakens a need inside her that she can’t deny. Pipe doesn’t want anything from Elena other than her. He’s not after a war, nor is he after blackmailing Saint’s little sister. She’s not like any other woman he’s ever known. All he wants is to get to know her. Away from either club, they explore their attraction, and it doesn’t take long for their feelings to deepen. Saint is no fool, and when he discovers that Pipe has been screwing his sister, there is hell to pay. Pipe will not let Elena pick between him or Saint. He’s prepared to make a bargain that brings the Saints and Sinners MC closer to the Hell’s Wolves. He’s not interested in war. He wants peace, and to keep his woman safe. Will Saint let him live? Or will Pipe have to go and grab a steel pipe to take care of business one final time? Also, I couldn’t resist this next picture that was sent with my art files. I just love seeing the two books together, side by side.